← Corvair College #24, reviewed in photos, part two. Corvair College #24, reviewed in pictures, part three. 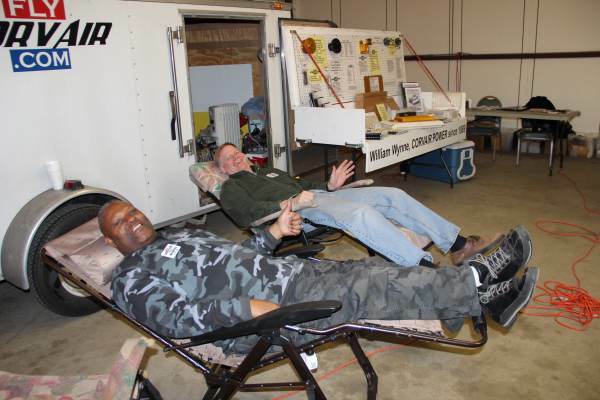 Above, photographic proof that Corvair College is a high pressure all business learning enviornment….Irv Russell and Bill Rotenberry get some serious study time in. Above, Pietenpol guys Terry hand and Dave Aldrich speaking to each other. Dave is holding a 64 x 35 sensenich that we sold him for his Piet. Armchair experts will claim that “every light plane flies better on a 72″ prop.” That statement is the verbal ID card of a guy who understands nothing about aircraft propulsion and just parrots things he has heard. 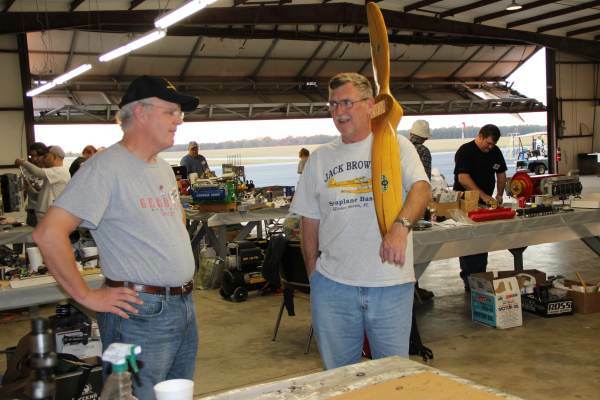 The prop in Dave’s hands is an outstanding performer on a Corvair powered plane in the Piet’s speed category. We flew it about 70 hours on the Wagabond. I would put it against any other wooden prop on a Corvair powered plane in this speed range. It will also make far more thrust than a 72″ wood prop on a 65-75-85 Continental, and would match the output of a very strong running C-90. You can look on our thrust and HP test reports and see that an O-200 tested right on a 150 isn’t a great thrust producer either. Many armchair experts often incorrectly claim the Cessna 150 has a 72″ prop, it doesn’t, it is 69″. If it would have climbed 100 fpm more with a 72″ prop Cessna would have put one on there. At its very core, homebuilding is about learning. Testing and data are the foundation of learning. parroting old wives tales never taught anyone anything. Above, I speak with Piet builders and flyers Kevin Purtee and Shelley Tumino. 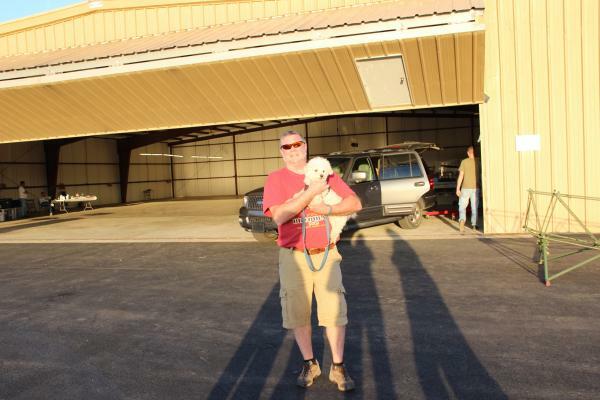 Kevin wrote an in-depth article on his building and flying experience for us three weeks ago. A small facet of his experience is the accident he had this last summer. 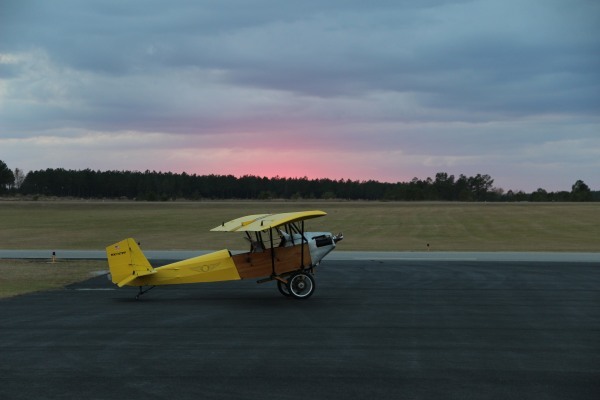 At the college he reassembled and test ran his 2,700cc Dan bearing engine that powered his plane for 340 hours. Before the college I inspected the engine carefully. Other than a broken ring gear and a bent starter from the accident, there as no damage. On general principle, I retired the crank and the cam from flying. The replacement crank was equipped with a gen 2 Dan bearing journal, but retained Kevin’s original Dan bearing housing. Dan inspected the housing before the college, and replaced the bearings. This was not required, but it was inexpensive. Here is a very convincing demonstration of the accuracy of Dan’s bearing parts: Original engine case and bearing housing, new crank and 2nd generation bearing journal: It went right back together and zeroed out exactly when the cover was bolted back on its original dowel pins. There is a common misconception that the bearing housing has to be ‘line-bored’ to be accurately affixed to the case, or that Dan’s arrangement isn’t able to be disassembled after installation. Kevin’s engine showed both of these assumptions to be wrong. On Saturday night, we awarded the Cherry Grove Trophy to Kevin and Shelley. 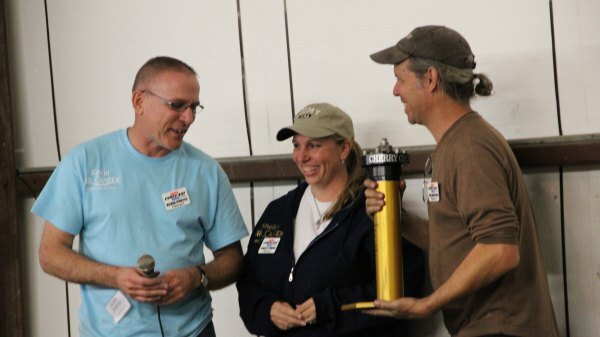 The trophy goes to the builders and flyers that have made a great contribution to Corvair powered flight. We have only 8 slots on the trophy, and their names are in the 5th location. In three more years we will retire the trophy and send it to The National air and space museum. 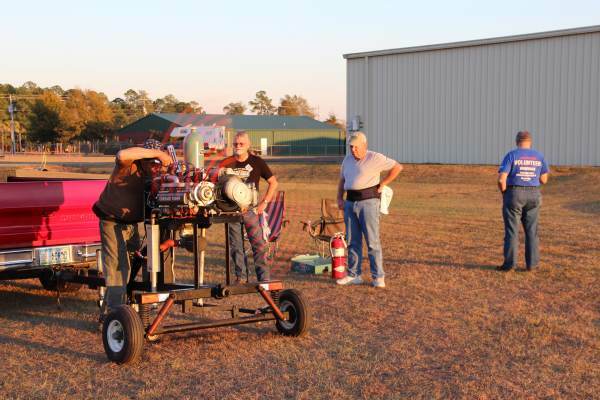 Their names join Mark Langford, Dan Weseman Joe Horton and PF Beck, as outstanding members of our movement that went out of their way to make Corvair powered flight more accessible to builders that followed them. Their frequent appearances at airshows far from Texas, their constant promotion of ‘learn build and fly’ and the hosting of the highly successful Corvair college #22 made them the right people to be awarded the trophy in 2012. Although Kevin’s day job is flying attack helicopters, he also immerses himself in experimental aviation. Every one who has met him understands him to be a very funny and friendly guy. Kevin is justifiably proud of his 31 years as a warrior, but in the setting of homebuilts, he likes to be thought of as another fellow builder. At the College he wore my sock monkey hat and Shelley had a shirt for him with the ‘hello kitty’ logo embroidered on it. Neither of these two touches worked to fully suppress Kevin’s tough guy nature, but the did very effective show that he has a good sense of humor. Man on the right is long time corvair movement builder Chris Pryce, who has just started flight training with the USAF. Above, gratuitous Scoob E dog photo. 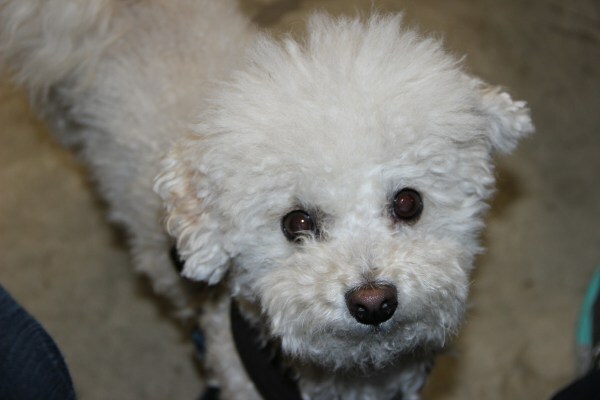 Like many dogs, he gets nervous about being left behind when any type of packing is going on. The fact it took two days to load the trucks and trailers was almost too much for him. 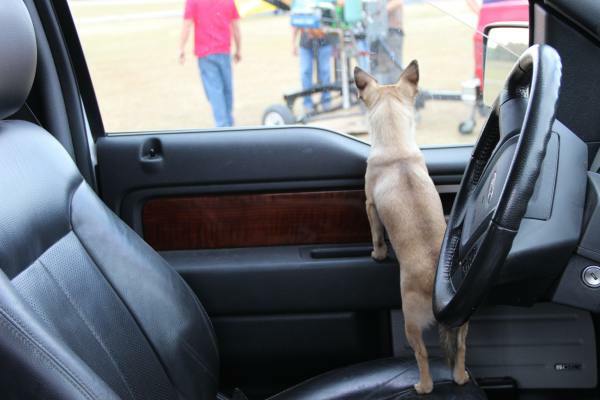 He was overjoyed when we finally let him sit in the vehicle several hours before we left. It was his 8th college. Above, Local dogs Spike and Max were fascinated by all the action around the run stand. 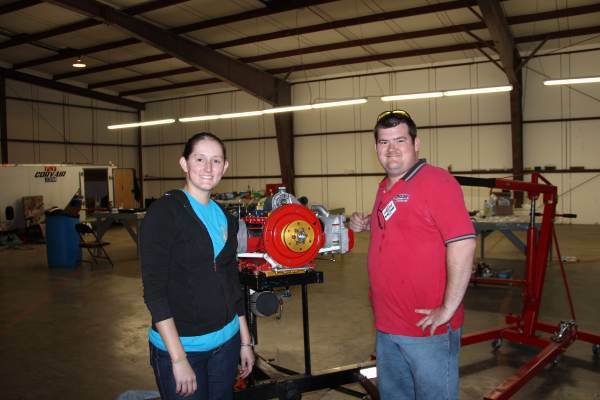 Above, Vision builders Michelle Tomolo and Mike Schwab enjoy their smooth running 3,000 cc engine with Dan bearing. Theri Vision is about half done. It is a combination that many people are looking forward to seeing fly. Above, packing works both coming and going, and Brian Law offered to comfort Scoob E while we packed up at the end of the day on Sunday. Above, Grace took this very nice photo of P.F.’s Piet at sunset on Sunday.